The Central Information Commission to overhaul the RTI wing in NGT. He directed the First Appellate Authority of National Green Tribunal to explain his illegal orders in Subhash Chandra Agrawal cases, and recommended Ministry of Environment to look into the administrative problems of NGT regarding RTI. 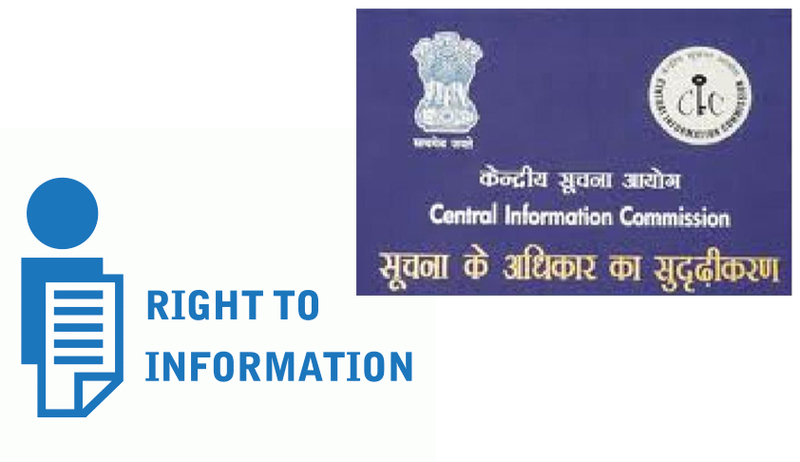 Deciding Complaints and Second Appeals the CIC M Sridhar Acharyulu observed that PIO’s and First Appellate Authorities (FAA) should not harass the RTI Applicants with frivolous questions. Mr S C Agrawal sought information regarding purchase and registration of vehicles including cars purchased and sold by NGT. He also sought information on rules, procedure, etc on sanctioning of leave, LTC etc concerning to Chairman and members. In another RTI, he wanted statistics about RTI applications and first appeals. In the absence of response he complained to CIC. He alleged that FAA caused his serious harassment, by insisting on his presence to prove originality of his RTI application, to explain about his RTI applications, prove number of envelops, postal orders and their genuineness, also wanted him to file affidavit duly verified and attested by the competent authority mentioning all the facts. The FAA made serioius observatins against functioning of CPIO saying he failed to furnish the plausible and jusfiable reasons for not providing information within the period, did not encash the postal orders and treated appellant differently by refusing his RTI requests only and concluded that he has miserably failed in his statutory duties. The appellant alleged that FAA harassed him through funny and strange interim orders obstructing process of furnishing information scaring away the information seekers. The Commission also observes that the FAA has not applied his mind to the facts, law and the circumstances of the case and made the hearing a very elaborate and unnecessary exercise on trivial matters without any purpose, leaving CPIO confused. The Commission issued the Show Cause Notice to Sanjay Kumar FAA to explain why he passed such illegal order, why he spent so much of time without hearing the appeal, within the time prescribed by the RTI Act in 3 weeks. The CPIO presented a pathetic picture of lack of support and cooperation besides his health problems. Because of lack of time and support even in typing out, he could not send any answer to the appellant. He expressed his inability to attend RTI work because of his duties in the Accounts Division. For his accounts division he has one accountant, 3 clerks and 3 MTS, which partly meets the work. The Counsel for the CPIO also explained the circumstances in which the CPIO could not discharge his duties and pleaded for condoning his bonafide lapses. The Commisison found that it was not proper to burden Accounts Officer with RTI related work without giving any training or staff or infrastructure. The Commission recommended to replace the CPIO with another officer and to provide necessary infrastructure including computer operator, which is desirable for an esteemed organisaiton like the NGT dealing with important matters like environment/pollution. The Commisson also observes that the FAA orders reflect lack of understanding of RTI, which is harmful to the Public Authority. The Commisison recommends in this case, a change of officer as FAA as the Commission finds that there is no coordination between the two officers as brought out in this case. Considering the basic problems of CPIO the Commission did not prefer penalise him. As the NGT is suffering from absence of coordination within the office, the commissison recommended the Secretary, Union Ministry of Environment to look into adminstrative problems of NGT.